Thank you for entering! A winner has been notified. Join our mailing list to receive product announcements and $10 off your first purchase. *TERMS & CONDITIONS: No purchase necessary. Contestants are entitled to one entry per person, must reside in the United States and must be 18 years of age or older. Submission period ends 11:59PM PST March 16, 2015. 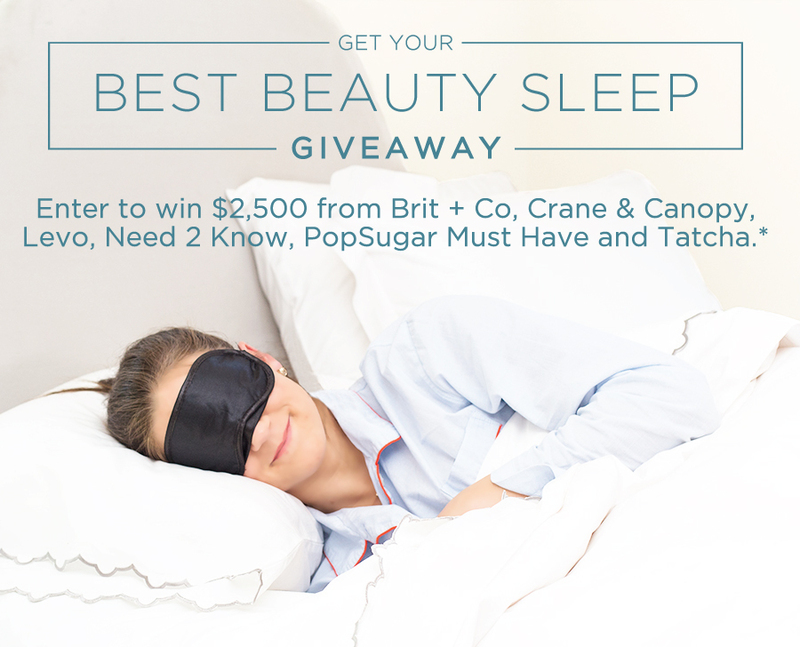 One winner will be selected and will receive a $1500 gift card to Crane & Canopy, a Night Time Skincare Kit from Tatcha (valued at $520) and a one year subscription to PopSugar Must Have (valued at $430). Winner will be contacted on or before March 20, 2015 by email and has 7 days to claim his or her prize. By entering this giveaway, you agree to receive messages from Crane & Canopy, Brit + Co, Levo, Tatcha, Need 2 Know and PopSugar Must Have. You may unsubscribe at any time.